How Music Can Benefit your Child’s Academic Future? Many of us believe that music lessons are an outlet for creativity and energy in a proactive way. Which of course is true. What many of us don’t realize is that music has a much deeper, academic, effect on us, especially at an early age. Lead researcher E. Glenn Schellenberg, PhD, says the recent study found that younger children found that each additional month of music lessons was accompanied by an increase in IQ of one-sixth of a point, such that six years of lessons was associated with an increase in IQ of 7.5 points, compared with children who did not have the same amount of musical instruction. Of course, to sweeten the pot even more. The results from studies show that children following a structured music lesson plan perform better on tasks measuring verbal IQ, planning, and inhibition” compared to the other two groups. We all want only the very best for our children and the world often demands that we be the very best of ourselves. Since the brain is developing the most during our early years it is important to form these crucial skills right out of the gate. Such as with vocal lessons. A child will be better prepared to practice the pronunciation of the new language. When children start studying music before the age of seven, they develop bigger vocabularies, a better sense of grammar and a higher verbal IQ. These advantages benefit both the development of their mother tongue and the learning of foreign languages. During these crucial years, the brain is at its sensitive development phase, with 95% of the brain’s growth occurring now. Not to mention that the changes music has on the brain is not just physiological but physical as well. 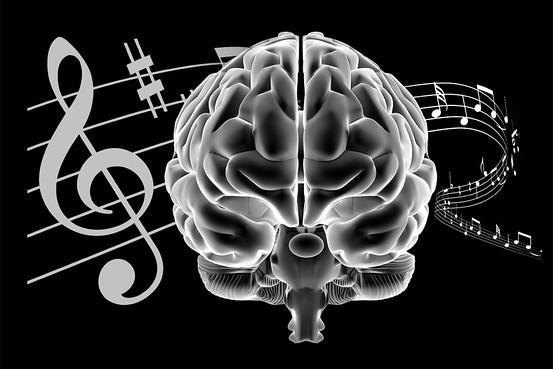 Recent studies have clearly indicated that musical training physically develops the part of the left side of the brain known to be involved with processing language, and can actually wire the brain’s circuits in specific ways. According to the Children’s Music Workshop. Motor skills is one of the first skills a child will develop and we want to help them improve as these are crucial to advancing in other fields throughout life. Not to mention it helps children cultivate patience, improve concentration, and transfer those skills to their academic performance. And, this is especially true for special needs children. To demonstrate as much Dr. Schlaug conducted an experiment where two groups of children aged 5 to 7 years old. One that did the musical training and one that did not. After fifteen months, the children who underwent musical instruction displayed greater improvement in finger motor skills and auditory discrimination. They also were found to have structural brain differences in the regions linked to motor and auditory processing, and in various frontal areas. Without a doubt school is one of the most important periods of our lives and the foundation and paths it sets our children down is one we take with the utmost seriousness. For that matter, we always want a school to open as many doors as possible for them and give them a leg up on others. A study published by Christopher Johnson, professor of music education and music therapy at the University of Kansas, revealed that students in elementary schools with superior music education programs scored around 22 percent higher in English and 20 percent higher in math scores on standardized tests. Thus, backing the theory that in stretching the mind to learn music at an early age, it allows the brain to work harder as more parts of the brain are brought into play. So, a school that offers musical programs would be a plus in achieving he positive effects that a quality music education can have on a young child’s success. Thank you so much for taking the time to widen your knowledge on the benefits of music and how it can broaden your child’s horizons. If this has peaked your interest please visit us at Omaha School of Music and Dance! We would love to have you as part of our family! Previous Post Hip Hop: Origins Next Post How Can Musical Theater Affect My Child?